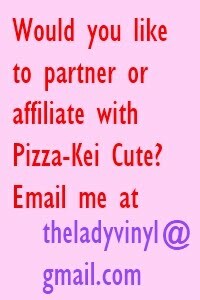 Pizza-Kei Cute: Higher Education: KAWAII STYLE! hey everyone! i've just started my first year of college a few weeks ago. i meant to make this post beforehand, but i hope it will still be useful to those of you who haven't started school yet. i might also like to mention that it should be useful to high school students too-- just adapt the advice to the high school environment. so, it's the end of summer sadly-- but the start of classes for college students! 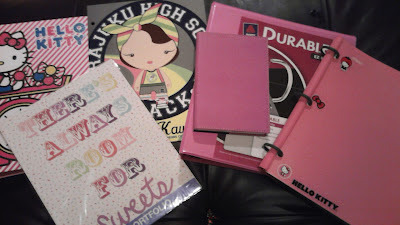 here are my tips on how to start of college with kawaii culture and street fashion's influence. a backpack or tote is really important to lug all your stuff around. 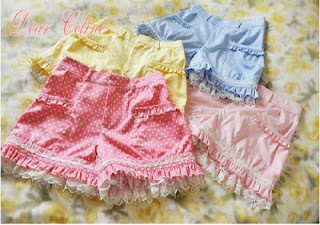 make sure to get one that fits all your junk, but look for ones in cute colors and designs! the remedy if you can't find something that works for you is to DIY it!! 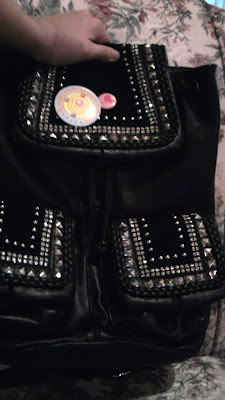 DIYing your backpack is easy with buttons, patches, lace, or even sewing on a bow! use your imagination and know-how. if you don't know where to begin, look up some tutorials or try to find inspiration online. 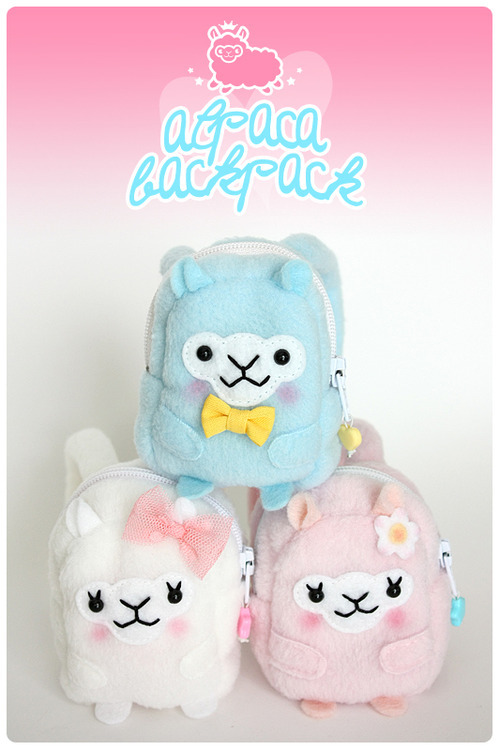 here are some great backpacks that are popular in cute culture right now! 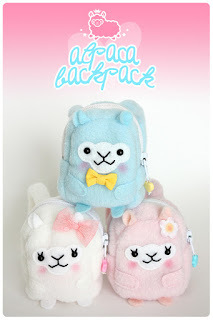 maniaQ, a japanese brand, offers tons of pastel backpacks on their site! i happened to find the perfect backpack for me at tj maxx. it's by a brand called MMS. this is another good inspiration for DIY- add studs and rhinestones!! it's a wonderful faux leather bag with suede, studs, and sparkles. i absolutely love it! the pockets and closures are all convenient and give it a unique shape. 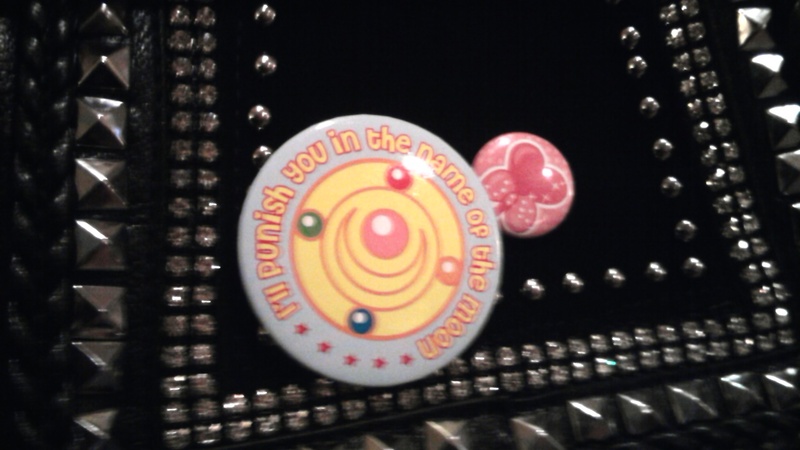 i still couldn't resist adding a mahou shoujo touch with my sailor moon button and a button that was a freebie from holley tea time! getting colorful pens can make you happier when you write or study your notes. a cute pencil case is also essential, and a highlighter in your favorite color! kawaii pencil cases are pretty easy to find. i picked up this one at a comic store in st. louis. 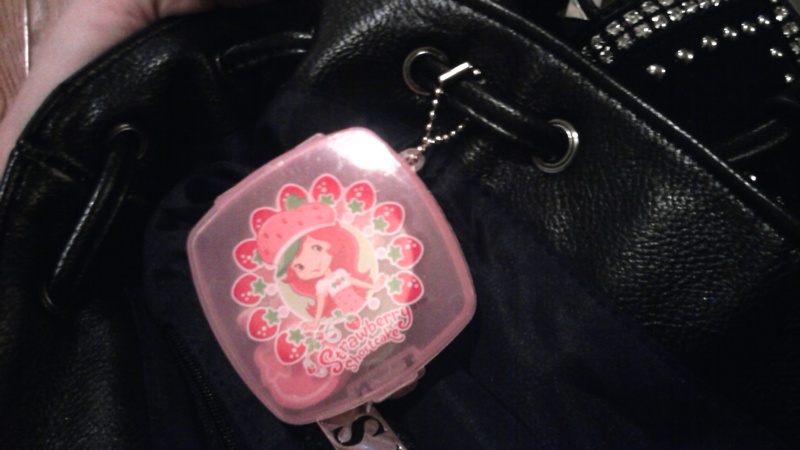 i also found a strawberry shortcake keychain to personalize my backpack! i also use a hello kitty change purse keychain, but i don't have a picture of it. 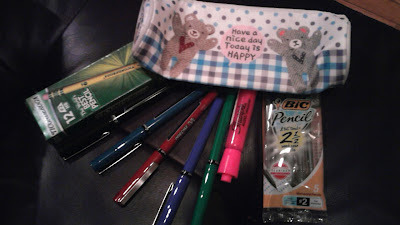 this year target has offered some really adorable supplies. 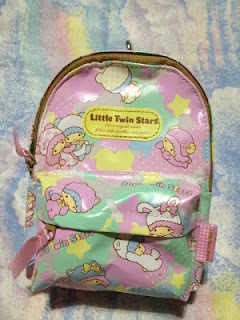 they usually have a ton of hello kitty and sanrio things, but you could also find that online. 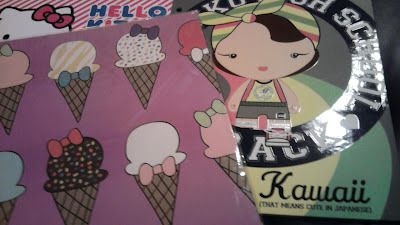 the harajuku lovers mini folder actually says kawaii on it! for the rest of your items, if you can't find something cute enough, get items in your favorite color or a cute pastel and add stickers! other essentials include a water bottle to stay hydrated. i got a brita filter bottle for the first time and i must say i love it! it really improves the taste of tap water by far. they offer the bottles in a nice range of pretty colors, too. i'm a germaphobe so i always have wet ones and hand sanitizer on deck, but of course everyone should carry these to prevent from getting sick. if you're in college an ID case is useful to use for your discounts, bus pass, etc. i wanted to keep mine separate from my wallet for ease. this fabulous polka-dotted one was picked up at target, but check your school's bookstores. they tend to have a huge range of great colors and designs for ID cases and wristlets. eos lip balms are absolutely adorable and eye-catching. not only are they cute, but they come in great flavors like strawberry sorbet, lemonade, and sweet mint! i've tried many flavors and i swear by them for making your lips soft and hydrated with natural ingredients. try any flavor-- you can't go wrong! cute erasers are an easy way to add more kawaii factor to your daily routine. 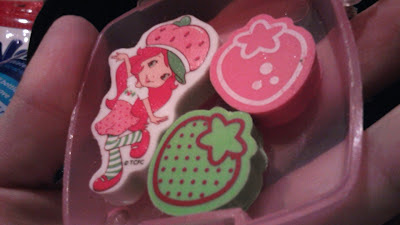 the strawberry shortcake keychain had these cute erasers inside, but japanese erasers shaped as food (or CDs and headphones, whatever you can imagine...) are available almost everywhere these days. you can usually find them at the grocery store and i even saw them at cracker barrel and the candy store in my mall! 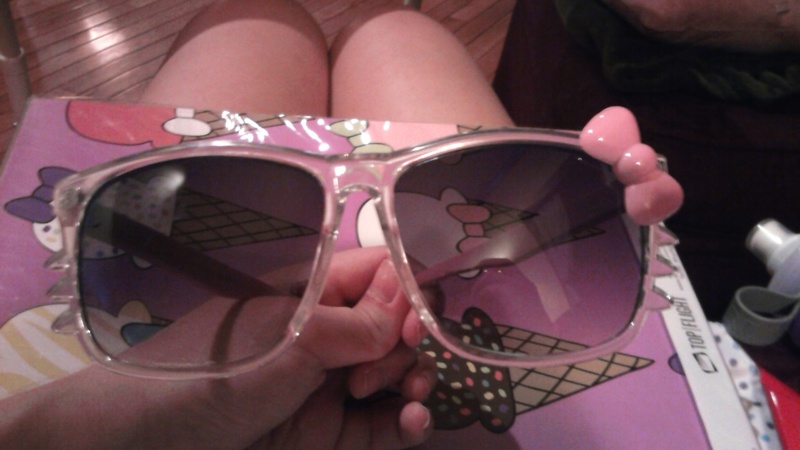 gotta keep the sun out in style! i picked these up at king's island but the hello kitty bow style of glasses seems to be a favorite of sanrio lately. 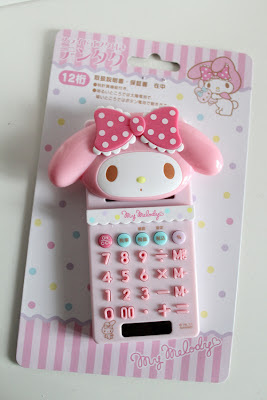 this my melody calculator is too cute. of course, you can always deco-den a regular scientific calculator to make it sparkle with cuteness! 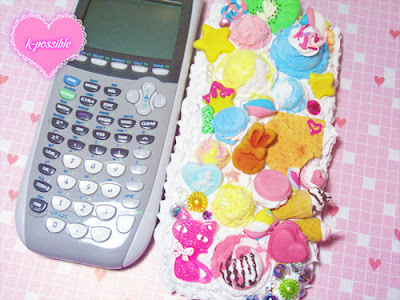 if you don't know how to deco, i recommend this site for tutorials and where to get materials. keep in mind that you don't need to make your own sweets though-- it can be as easy as adding some cabochons and rhinestones. although it may depend on where you live, it's really hot here right now! so i planned this in a way to dress in an adorable way for the hot pre-fall weather. again, DIY is key! modify! get inspired! 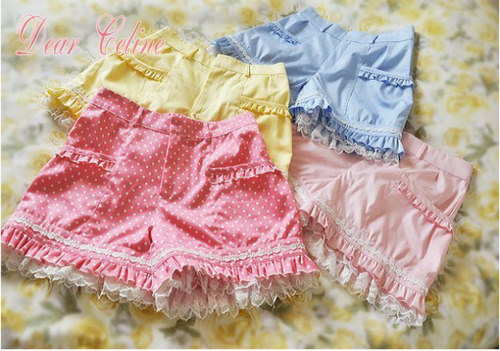 these are some of my favorite recent summer fashions-- cutesy shorts with frills at the hem and heart shaped pockets in pastel colors! 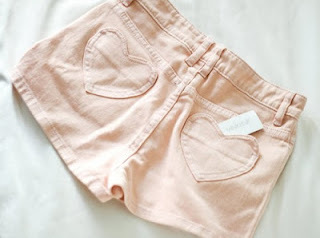 i also love pastelraindrop's tutorial on how to make fantastic dyed shorts. i have yet to do this but when i do i will post the results. she's also been posting about DIY shoes recently, so check that out if you want a good resource on fairy kei shoe painting! 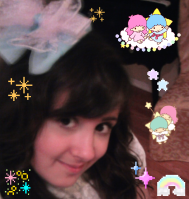 it might also be handy to learn some cute simple hairstyles and stock up on bows if you haven't already! this tumblr has a wonderful section on DIY makeup, hair, and more. 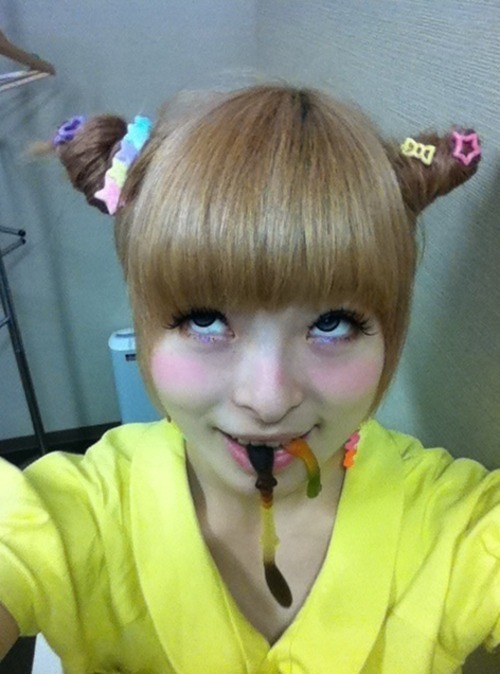 here is another tutorial on kawaii hairstyles from NHK! so there's my guide on adding some kawaii culture into your school life! i hope you enjoyed it!! i will be posting some nail art ideas and coordinates for fall soon, so stay tuned. thanks for reading! they're adorable, aren't they? i know that http://shoptokyo.tumblr.com/ used to have some on special but i don't know if they're still selling them. 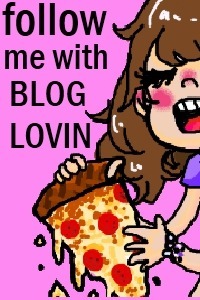 also, i really like your blog!